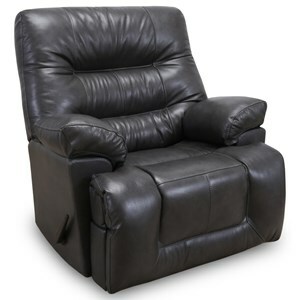 This manufacturer offers infinite-position power recline on most models of recliner. Customized motion means that you can find the position that best suits you, whether you need to soothe back pain or relax and watch TV. This gentle motion is suitable for all levels of mobility, and is as easy to use as a single touch. A cascade of extra thickly padded pillows with a plushly padded frame around the ottoman! Shirred chaise ottoman, seat, arms, wings, back and head pillows form a downy cradle for superior relaxation. Available in buttery soft leather with vinyl trim or great shades of suede. Truly a comfort work of art! 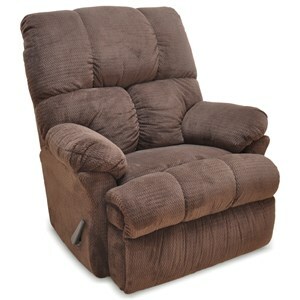 This chaise recliner is available as a rocker and a wall recliner. 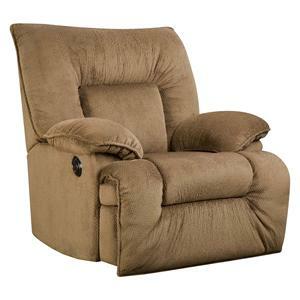 The Rocker Recliners Chaise Rocker Recliner by Franklin at Furniture and ApplianceMart in the Stevens Point, Rhinelander, Wausau, Green Bay, Wisconsin Rapids, Marshfield, East and West Madison, Wisconsin area. Product availability may vary. Contact us for the most current availability on this product. Fabric Options Leather, fabrics and vinyl carefully selected for wearability, seam strength, beauty and comfort. Arm Deep padded arms are filled with premium conjugate fiber and/or foam. Seat Back Deep padded back filled with premium conjugate fiber and/or foam. Seat Extra plush Reflex seat cushion. Features dynamic rebound and incredible durability. 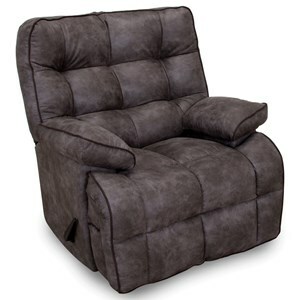 Recliner Mechanism Heavy padded ottoman foot rest with foam and/or fiber for extra added comfort (on most models). Fully removable chaise pad with zippered back for easy regulation, cleaning or replacement (on most models). Frame Construction Super structure frame designs integrates base, mechanism, and frame for strength and appearance. Hardwood used in all stress areas reinforced with dowels, glue, screws, and staples when needed. Removable back makes easy to get into home and moving. Padding & Ergonomics Deep padded arms and back designed for maximum comfort and durability, filled with premium conjugate fiber and/or foam. Extra plush reflex foam seat cushion features dynamic rebound and incredible durability. Seat Support Extra long no-sag spring / sinuous spring construction used in seats and backs for sink into comfort. 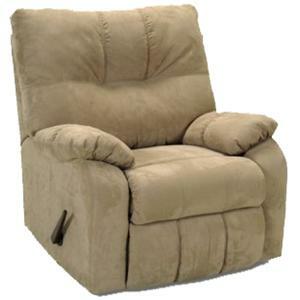 Warranty Limited lifetime on patented reclining mechanism, seat, back, frame, and rocker springs. 1 year on electronics. Get the best seat in the house. Comfort, quality, style, easy to use. 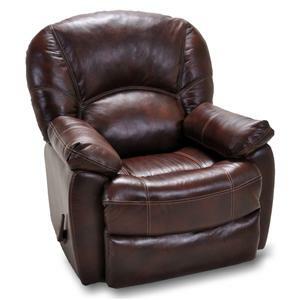 Find the perfect reclining chair to watch television, take a nap. For your maximum comfort and for durability, the hardwood frames are double-doweled and glued, with reinforced stress points where more support is needed. Tempered steel mechanisms feature fingertip operation and are counterbalanced for "no hands" reclining! Locking, removable backs make shipping and in-home furniture arranging simple and easy! Structural integrity, wear-tested fabrics, reinforced seams, and the extra padded backs and seat cushions in your new motion furniture mean a quality product that will last a long time. Get ready to kick back, relax and enjoy! 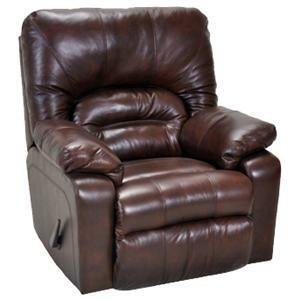 The Rocker Recliners collection is a great option if you are looking for Casual furniture in the Stevens Point, Rhinelander, Wausau, Green Bay, Wisconsin Rapids, Marshfield, East and West Madison, Wisconsin area. 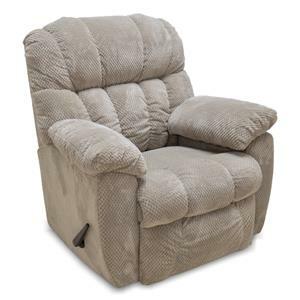 Browse other items in the Rocker Recliners collection from Furniture and ApplianceMart in the Stevens Point, Rhinelander, Wausau, Green Bay, Wisconsin Rapids, Marshfield, East and West Madison, Wisconsin area.